Congratulations to Louise Wilkinson, nursery owner at our Lomeshaye Business Village, for being named Businesswoman of the Year in Lancashire. The proprietor of Lomeshaye Village Day Nursery, at our Lomeshaye Business Village, is celebrating after being named as Businesswoman of the Year in Lancashire. 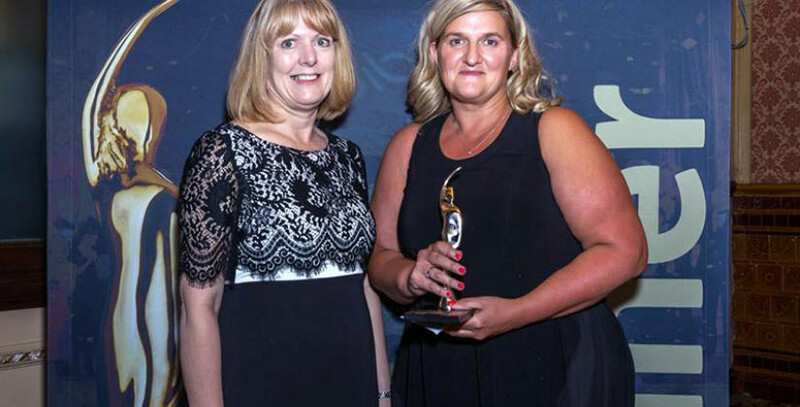 Louise Wilkinson, founder and owner of the nursery in Nelson, near Burnley, received the accolade at the prestigious BIBAs (Be Inspired Business Awards) event at the famous Blackpool Tower Ballroom. Run by the North and Western Lancashire Chamber of Commerce, the BIBAs involves a rigorous judging process, with a written application and site visits from the judging panel, which is made up of some of the best business minds from across the county. Louise took over Lomeshaye Village Day Nursery in 2009, and has since transformed the nursery into a well-established and recognised business, which received an ‘Outstanding’ OFSTED grade in 2013. The nursery also has the top score of five from the Food Standards Agency for its food hygiene. The nursery looks after almost 200 children – both of people working on the industrial estate as well as those living in the area. It caters for babies, toddlers, pre-school, as well as providing a fun-packed holiday club. Alongside this, Louise bought Carousel Childrenswear in Barrowford, in August 2014, with a view to building the business into a successful brand with an online presence for shoppers across the UK and Europe. Our Lomeshaye Business Village is a luxury mill conversion, which celebrates the charm of the historic Lancashire property. The large business centre offers more than 80 serviced offices and non-serviced offices, as well as 50 commercial units including industrial space, workshops and storage units. All units vary in size to suit a range of businesses. Lomeshaye Business Village also offers two meeting rooms for use by business centre customers or external businesses. For more information contact Business Centre Manager, Kirstie McClelland on 01282 602 047.